Join us for our upcoming Workshop where we will discuss ways to keep more of your wealth. 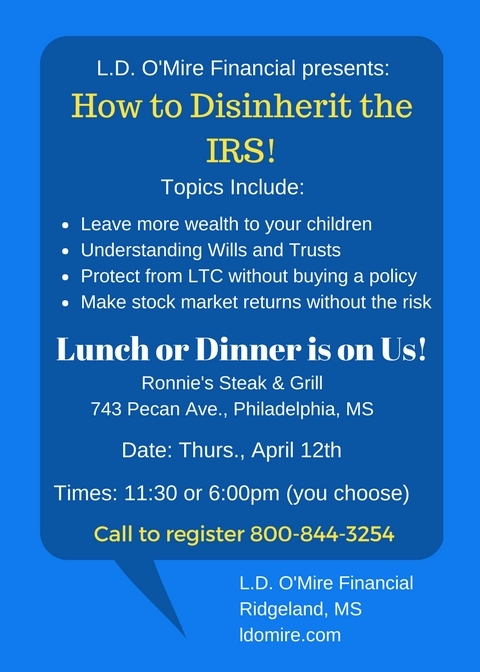 Topics will include wills, trusts, long term care, “no risk” market investing, medicare, retirement strategies, Roth IRA’s, and much more. Admission is free, and the meal is on us! Time: 11:30am Lunch – or- 6:00pm Dinner – you choose.